Mr. E and I recently went to Zion National Park via Las Vegas to visit my Uncle Jim. On the way, I mentioned that I had never been to the legendary SnowCap Cafe and Mr. E was agast! 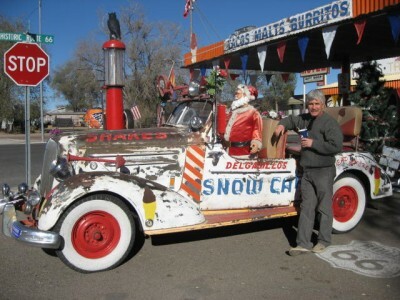 So we made the stop in Seligman, Arizona, a once prosperous Route 66 town. 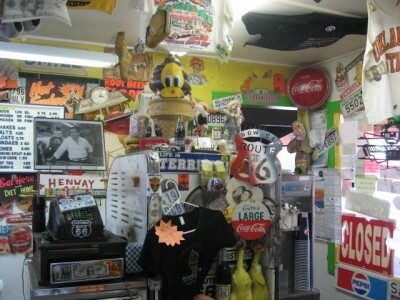 The SnowCap still is a quirky place, where tradition dictates that the owners will mess with the customer for laughs. 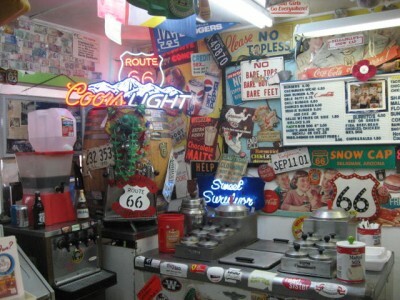 It was really quiet when we were there, but to be fair, summertime is the busy season…and maybe it’s seen better days…but somehow, it still had it ‘going on,’ in that old Route 66 kinda way! ~ by Dawn Elliott on November 29, 2012. I really enjoy fun and eccentric places like this. Thanks for capturing it and sharing! 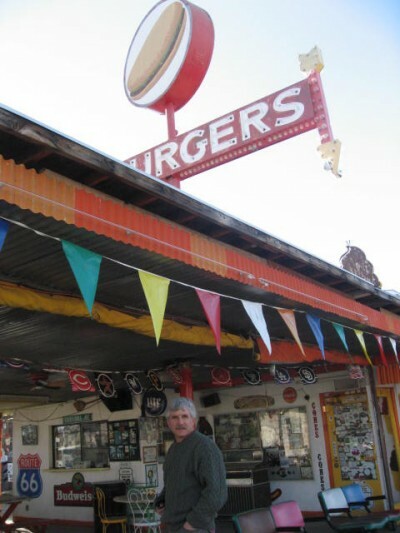 I loved this ride down old Route 66 and a vicarious visit to the unusual cafe. Quirky is the right description! Wacky indeed! truly, first time “wacky” appears in a haiku! great post and in a “got it going on” kinda way!